Kingdom Hearts III director Tetsuya Nomura took to the official Japanese Kingdom Hearts twitter this morning to share more details with fans on when to expect new trailers ahead of the fast-approaching January release date. 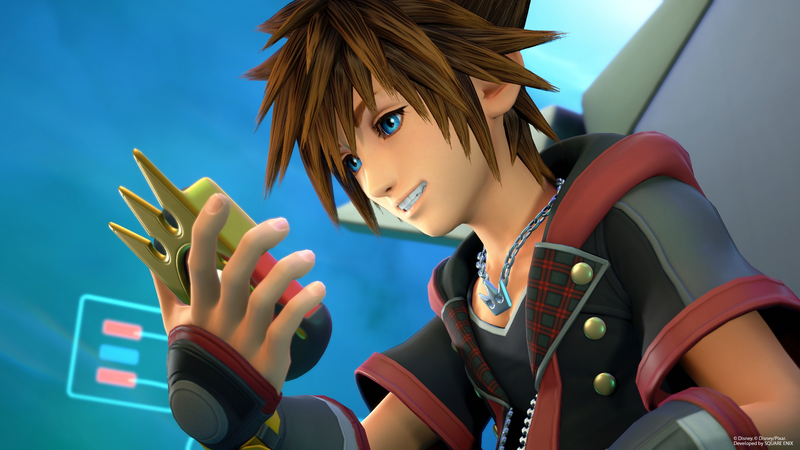 According to Nomura, a ‘New’ trailer will go live on December 10th, a ‘Final’ trailer will go live on December 18th, and a 30-second commercial airing before movies will arrive on December 21st. These trailers are still a work in progress, so Nomura cautions that the release dates may not be exact. In related news, players in the US and Canada who pre-order through Amazon will get an exclusive “From Dawn til Dusk” in-game keyblade that was available in Japan through 7-Eleven. More on that here. Kingdom Hearts III is due out for PlayStation 4 and Xbox One on January 25, 2019 in Japan and January 29, 2019 in North America and Europe. We didn’t need to know when would be the next KH3 trailers, the game itself releases in two months, we all expected a launch trailer, nothing surprising here. On the other hand, I’d rather know when the FF7R trailers will start… now that is something we need a date as we have no clue whatsoever when they intend to release one other than after the release of KH3, which is pretty vague. Will it be the day after or a year later, or sometime in between. Too many trailers. It’s just spoilers now. Well difference there is Amazing 2 was like 90 mins, while kh3 should be 20-60 hours (hopefully). Still yeah think we’re at a point where trailers are useless for the game now. But I just plan to not watch them before the game comes out. Same. What can a trailer tell me now? I know I want it. Who is still undecided? Yeah only guess is all these new trailers are for kids who weren’t born when KH2 came out, and trying to draw them in with Toy Story, Big Hero, Frozen and Monsters Inc. The trailers have been focused a lot on the worlds, but not much on the actual story of the game, which is good and bad I guess. SMH if you weren’t alive for KH2 you’d be what? 11 now? That still doesn’t mean they need MORE trailers . There’s been like 5 already.